Man, 81-Year-Old, Dies In RV Crash In Palm Beach Gardens | Schuler, Halvorson, Weisser, Zoeller & Overbeck P.A. 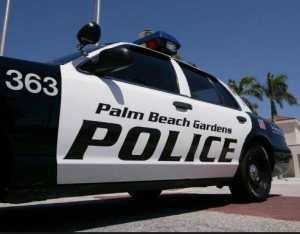 An elderly man died after crashing his recreational vehicle in PGA Blvd. The crash occurred while he was driving eastbound on PGA Boulevard in Palm Beach Gardens. According to the Police, officers found the 81-year-old man in the large vehicle after the crash. Witnesses say the RV clipped an SUV that had been parked in a driveway before slamming into a power pole. First emergency responders arrived at the site of the crash soon after the accident happened. The elderly driver was rushed to a nearby hospital, where he was pronounced dead on arrival. This is a vehicle crash with injuries said the Palm Beach Gardens Police Department. The cause of the crash was being investigated. PGA Blvd is closed at the moment due to the severity of the crash. Vehicles on this route are pulling to the roadside to allow crews work. Some are pulling into nearby Mobil gas station and Bank of America. The delay of traffic on this route is due to the severity of the crash. It is best to use an alternative route such as Central Blvd or to take Northlake Blvd. Please drive with caution and stay safe. Attorney Jason Weisser of Schuler, Halvorson, Weisser, Zoeller and Overbeck responded to this unfortunate accident on the Florida Turnpike: “This is a tragic accident that resulted in a death to the man driving the RV. Please be careful whenever you are driving a motorcycle, car, SUV or any oversized vehicle. If you have been injured in an accident, call my office for a free consultation to find out what are your rights”. Motor homes are not normally difficult to drive, and that is one reason they have become very popular. Most drivers can adapt to the greater size, weight, and height of a recreational vehicle. But when you are behind the wheel of any RV, it is a good idea to make use of all your defensive driving skills. Staying alert, planning ahead, and driving defensively are critical to the safe handling of your RV. When you become one of the big rigs on the road, you are responsible for the safety of your passengers as well as the safety of the other vehicles with which you share the road. The post Man, 81-Year-Old, Dies In RV Crash In Palm Beach Gardens appeared first on Traffic Center.